You will never forget getting your first car. Nothing can be compared to that feeling of freedom. You could go where you wanted, anytime, with who you wanted. For many people, getting their first hearing aids is a similar experience. 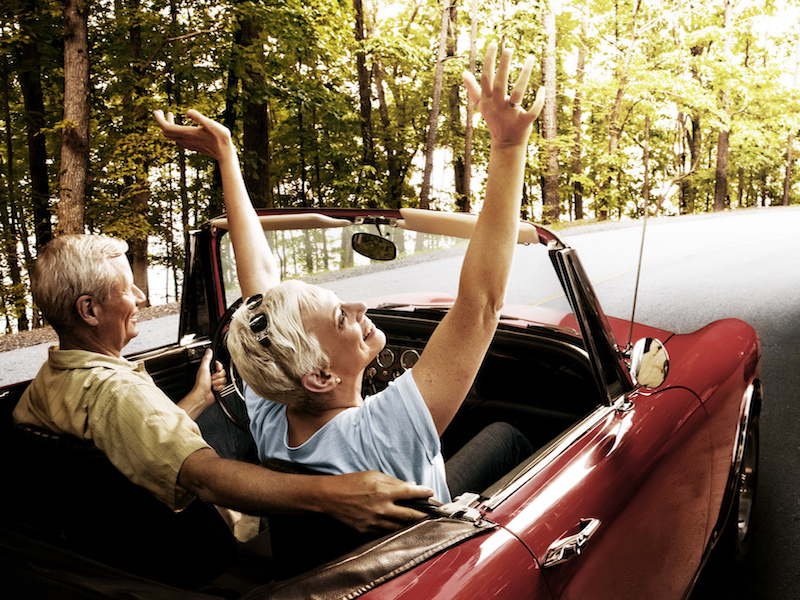 Why would getting your first pair of hearing aids be like getting your first car? Even though there are obvious benefits to hearing better, there are some less obvious ones that will help you maintain your independent lifestyle. It so happens that your brain’s functionality is significantly affected by loss of hearing. To show how well your brain can react to change, think about this: Taking the same exact route as you always have, you set off for work. Now, suppose you go to make a turn only to discover that the road is blocked. How would you react? Is giving up and going back home a good decision? Most likely not unless you’re trying to find a reason to avoid going to work. Finding a different way to go is more than likely what you would do. As long as your regular route was closed this new route would become your new everyday routine. If the new route ended up being more efficient, you would replace the old one with it. Inside your brain, when normal functions are blocked the very same thing happens. The brain reroutes its processing down alternative paths, and this re-routing process is called neuroplasticity. Mastering new skills like drawing or painting, or learning a new language are carried out by neuroplasticity. It also assists in building healthy habits. Activities that were once-challenging come to be automatic as physical changes to the brain gradually adjust to match the new pathways. Neuroplasticity can be just as good at causing you to forget about what you already know as it can be at helping you learn new skills. Hearing loss is the perfect example of how neuroplasticity has a negative impact on your day-to-day life. As explained in The Hearing Review, scientists at the University of Colorado discovered that even in the early development of hearing loss, if your brain stops working to process sounds, it will be re-purposed for something else. This is something you may not want it to be doing. The association between loss of hearing and cognitive decay can be explained by this. If you have hearing loss, the areas of your brain in charge of functions, such as vision or touch, can take over the under-utilized pathways of the brain responsible for hearing. The available resources in your brain which are used to process sound are diminished and so is your capacity to comprehend speech. So, if you find yourself asking “what was that?” frequently, you already have hearing loss. In addition, it may be a more significant issue than damage to your inner ear, it’s possible that the neglected hearing loss has caused your brain structure to change. As with most things, you get both a negative and positive side to this awesome ability. Neuroplasticity will probably make your loss of hearing worse, but it also improves the overall performance of hearing aids. Thanks to your brain’s ability to regenerate tissue and to reroute neural pathways, you can get the most from the advanced technology at your ear. Because the hearing aids activate the parts of the brain that regulate hearing loss, they stimulate mental growth and development. In fact, a long-term study was published in the Journal of the American Geriatrics Society. It found that wearing a set of hearing aids lessened cognitive decline in people with hearing loss. The study, titled Self-Reported Hearing Loss: Hearing Aids and Cognitive Decline in Elderly Adults: A 25-year Study, observed over three thousand adults age 65 and older through a 25 year period. What the researchers discovered was that the speed of cognitive decline was higher in those with hearing loss compared to those with healthy hearing. However, participants that used hearing aids to correct their hearing loss displayed no difference in the rate of cognitive decline as compared to those with normal hearing. The bottom line is, the brain is versatile and can adapt itself drastically no matter what your age or stage in life. You should also take into consideration that hearing loss can accelerate mental decline and that this decline can be reduced or even prevented by using hearing aids. Hearing aids are sophisticated hearing enhancement technology, not just over-the-counter amplification devices. According to leading brain plasticity expert Dr. Michael Merzenich, you can increase your brain function despite any health conditions by pushing yourself to complete challenging new activities, being active socially, and practicing mindfulness amongst other techniques. To guarantee your quality of life, hearing aids are a must have. People who have hearing loss often become withdrawn or isolated. You can make sure that you remain active and independent by investing in a pair of hearing aids. Keep in mind that if you want your brain to stay as young as you feel it needs to keep processing sound and receiving stimulation.